Come for 1 week, 2 weeks, or all 4, more if you prefer. 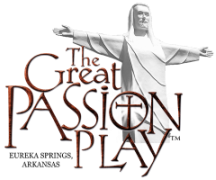 Help the Passion Play get ready for the 2017 year. There are many areas that need polishing up on the grounds and many repairs for all to keep busy. *Water, electric, and central dump station (there are number of full hook ups) First come first serve. Many more areas of building and repairs that will be added to this list as it is growing by the moment.